How many miles do you drive annually? Most leases require that you stay below 15,000 miles per year, some require you drive less than 12,000. Take a look at your driving history and see how many miles you’ve averaged over the past four or five years. If you’re not sure whether you can stay below 12-15,000 miles, then leasing is not a good idea. Are you good at taking care of your car? Do you clean your car regularly? Are you good at avoiding dents and dings? What about stains, tears, and rips in the interior? Most leasing companies require that their vehicle comes back in excellent shape, so if you get some dents, scratches, stains, tears, etc., they will charge you for them. Some leasing companies will even charge you a fee if the vehicle has to be thoroughly cleaned. Is the lease you’re considering “closed-end?” “Closed-end” means that the future value of the leased vehicle is pre-determined and printed on your contract. 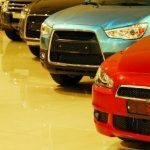 More than 90 percent of leases are closed-end, especially leases from major manufacturers such as Ford, Honda, and Toyota. However, if you’re not sure that your lease is closed-end, or if your contract doesn’t have a buyout price printed somewhere on it, then it’s probably an open-end lease, and these are very bad for consumers. You get more car for your money – you can lease a nicer car than you might be able to afford to buy. Vehicle is usually covered under warranty during the term of the lease. Great for people who prefer to drive a new car. No down payments (if you do it right, you have no out-of-pocket up front). 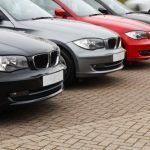 Are you planning on buying out your vehicle when the lease is over? It’s usually not a good idea to lease a car with the intention of buying it. It often costs more to lease a car and buy it out later than it does to simply buy it in the first place, but a lot of people choose that option because it’s a good way to keep monthly payments down while still getting the car they want. Before you take a look at “leasing to own”, think about getting extended-term financing. A good place to check would be with your local credit union. Lastly, if you’re using your vehicle for business you should talk to your accountant. Leasing may or may not be a good idea, based on the business you’re in, but your accountant can tell you for sure. How Is Inflating Lease Residuals Risky?